This statistic shows the leading 10 retailers in the United Kingdom (UK), ranked by worldwide retail sales in 2016. 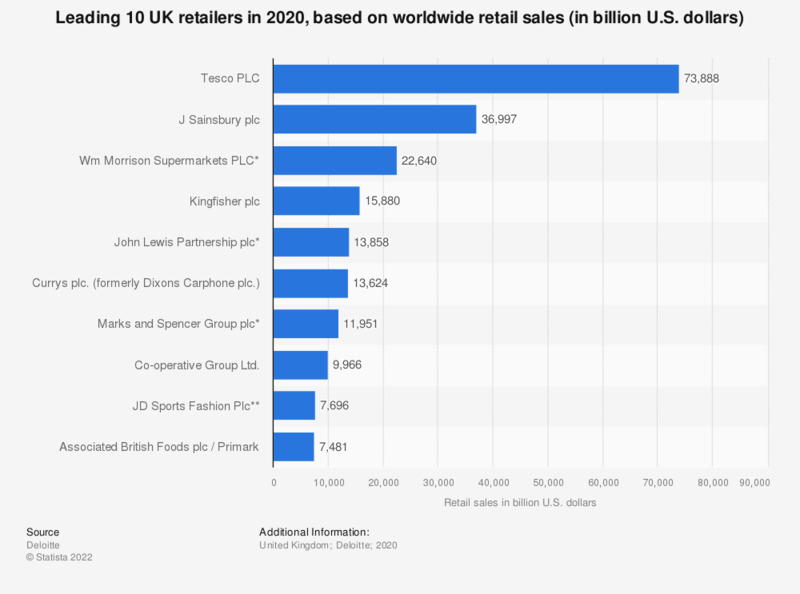 In that year, Tesco was the UK's leading retailer with approximately 72 billion U.S. dollars worth of sales. Information on Deloitte's study methodology and data sources is to be found on page 39. * Revenue includes wholesale and retail sales.